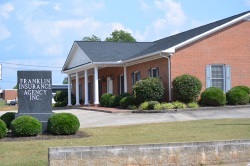 Commercial General Liability - Lavonia GA & Toccoa GA - Franklin Insurance Agency, Inc.
Clients who sustain injuries while on the premises of businesses, damages to clients’ properties as a result of employee negligence, and false advertising are all risks that you face as a business owner. These and other risks can translate into lawsuits and also into significant costs to you if you’re unprotected. For this reason and others, it’s very important that you have protection, which insurance provides. At Franklin Insurance Agency, Inc. we have complete commercial general liability insurance (CGL) options, which we customize for individual clients. We’ve provided commercial general liability insurance (CGL) to commercial enterprises in Lavonia and in communities throughout Northern Georgia for more than 40 years, and also we represent many AM Best, A-rated carriers. 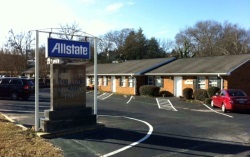 We can insure almost any business, and also we have extensive resources. For these reasons, we’ll provide to you the best possible commercial general liability insurance. Whether you’re protecting yourself against property damages and standard liabilities or you’re protecting yourself against a vast array of less-than-common liabilities, we’ll help you. Commercial general liability insurance (CGL) protects businesses from financial losses in the events that the businesses are liable for property damages or personal and advertising injuries that are caused within businesses’ service areas. It often covers the costs of legal defenses and pays damages if policyholders are found liable, and also it protects against specific risks like liquor liability, pollution liability, and directors & officers liability. CGL can be purchased as standalone policies; as parts of business owners policies (BOPs); and as parts of commercial package policies (CPPs). The manner in which you purchase your commercial general liability insurance solution will depend on your needs, which include limits. We insure for limits of $1 million in most cases, but we insure for a great deal more, and also we insure using a vast array of coverages. From medical expenses and attorney fees to settlements and requirements, the coverages that we offer are many. We also offer garagekeepers liability and employment practices liability. If you run an auto service business, having garagekeepers liability coverage protects your clients’ vehicles from fire, vandalism, theft, or other damages. Regardless of the business that you run, employment practices liability will protect your business if an employee’s legal rights have been violated. Foreign, liquor, and concession liability, all help keep your business safe; they also help you plan for the future. We thoroughly assess clients' needs through one-on-one consultations, risk analyses, and on-site inspections, and once we know and understand the clients' needs, we identify the right coverages. At the points that the right coverages are identified, we create the best possible solutions. In order to ensure that there are never gaps in coverage and that clients' rates are always competitive, we regularly review policies and plans that we write. 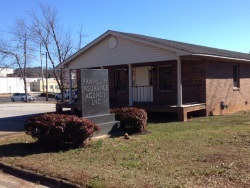 At Franklin Insurance Agency, Inc. we’re proud to provide commercial general liability insurance in Lavonia, Toccoa, Elberton, Hartwell, Jefferson, and Cornelia, GA. We also serve other areas in the state.